Applied Ink Solutions develops and manufactures materials for the global electronics assembly market. In addition to our standard products, we specialize in custom formulations for new & unique high-tech applications in the printed electronics industry. Our customers rely on our extensive knowledge and understanding of materials, manufacturing methods and applications to quickly deliver quality products that accommodate their unique manufacturing methods. New applications sometimes require something other than standard off-the-shelf materials. New and emerging technologies, harsh environmental conditions, mechanical and thermal stress, compatibility between materials and substrates, extreme temperature cycling and unique manufacturing processes and conditions are all circumstances that may require specialty materials. Conductive Compounds, Inc. formulates customized inks and coatings utilizing a wide variety of polymer binders and metal components such as gold, platinum, rhodium, nickel and tungsten. We take great pride in providing our customers with products that are tailored to their unique requirements. Added Value Technology is a dedicated service provider for the electronics industry. We specialize in final finish platings, soldermask and labor outsourcing for both rigid boards and flexible circuits in piece part or panel form. Final finishes offered include: HAL, Immersion Silver, OSP, Immersion Tin and ENIG. Our product is clean, fast, reliable and consistent braided copper desoldering wick. We offer Quick Braid (Resin), One Step (No Clean), Sea Braid (Unfluxed) and Lead Free varieties which are available on regular or static dissipative bobbins up to 1000’ lengths. Because our braid is so tightly woven, it utilizes less length of wick for each desoldering application. Our material is specifically designed for Surface Mount Technology (SMT) screen printers. Both solvent resistant and highly absorbent, our stencil rolls have proven strength, even when wet. Rolls are available for Dek, MPM, Ekra, Fuji and Panasonic machines. Custom rolls are our specialty! Please contact us if you don’t see the roll you need. Special RoHS compliant die-cut sponges designed specifically to aid in the cleaning of electronics. A wide range of Soldering Iron Tips are available with excellent performance and reliability. Durable, versatile swabs for cleaning electronics. The latest in technology for removing fumes and odors at a constant flow in today's workplace. Using lasers instead of cameras and lights makes the PARMI by Easy Braid solder paste inspection products the fastest, most consistent, and reliable method to determine solder paste deposition. Optical inspection that provides a cost-effective, high-quality alternative to X-ray inspection. Precision Coating Services are now being offered at Electropac Prototype, Inc., located in Londonderry, New Hampshire. Services include the following: Services include the following: Horizontal Hot Air Leveling, specializing in everything from flexible circuits to thick panels and quick turn requirements; Liquid Photoimageable and Dry Film Soldermask; V-Groove Scoring and CNC Routing and Drilling. Recycling Program and Solder Analysis Program, as well as a full spectrum of customer technical support. 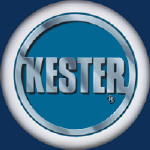 Throughout the world, Kester products are known for their high quality, advanced technology, and leadership position in the marketplace. For more information on our products or services, please visit our web site! Liquid X® Printed Metals, Inc. Liquid X Printed Metals® (Liquid X®), headquartered in Pittsburgh, Pennsylvania, is an advanced material manufacturer of functional metallic inks that takes an application from prototype to production. Liquid X® partners with manufacturers within the electronics industry to develop and print functional components utilized in various devices, including thin film solar cells; OLEDs; wearables and many others. Through our proprietary particle free inks, printing capabilities and technical expertise, we have the ability to take an application from concept to commercialization using additive manufacturing techniques.